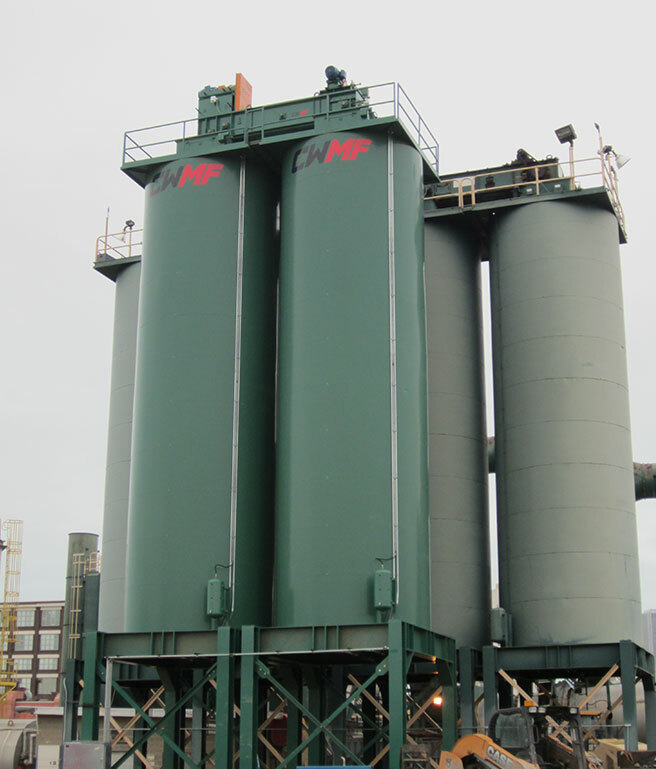 We engineered our silos to hold up to the harsh environment. High performance and reliability at an affordable cost. 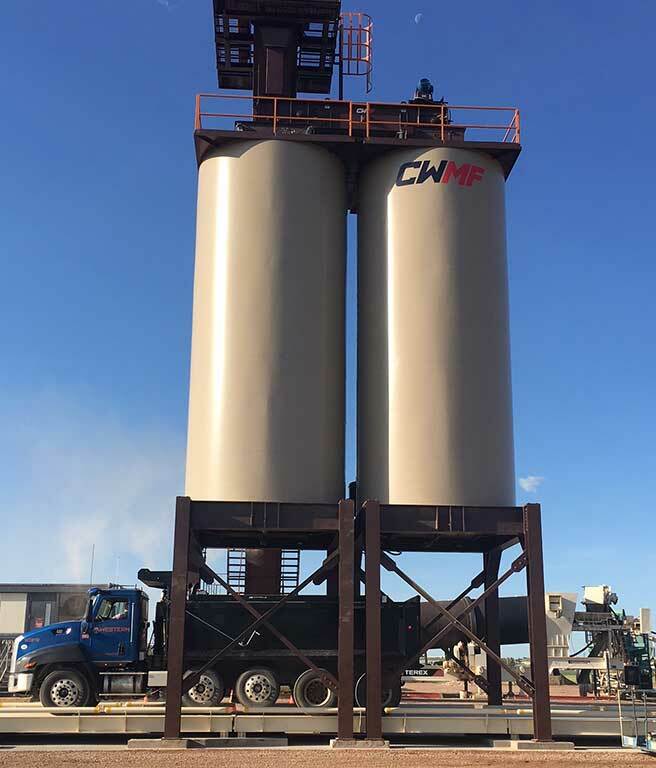 These silos can be loaded with all your needs to help you pave the way. 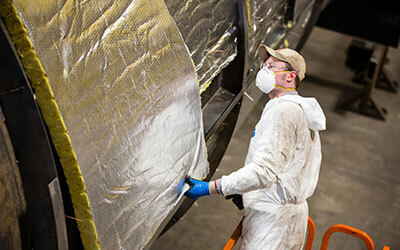 We insulate the top platform with 10″ of insulation and the sidewalls with 6″ of insulation. The top platform is fabricated from 10″ channel, insulated and capped on top and bottom. 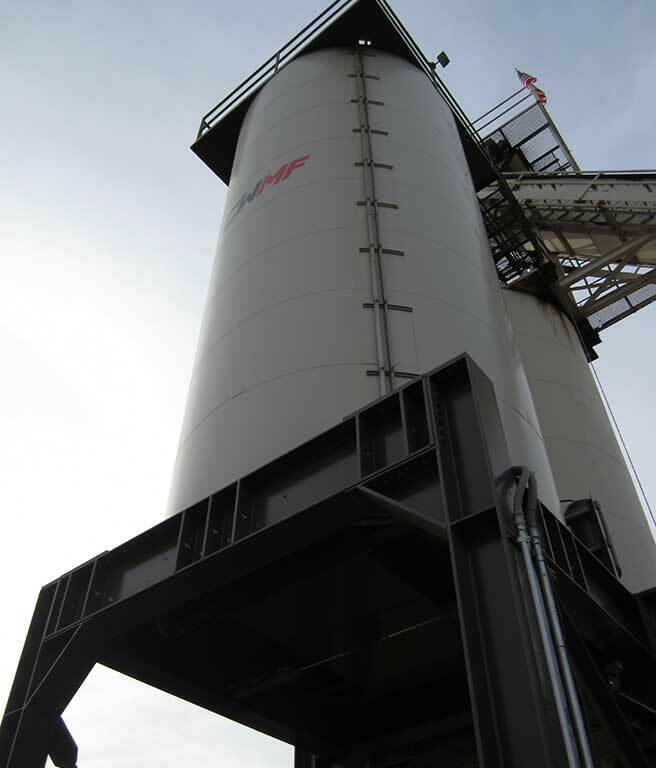 It is then directly mounted on the top of the silo can. This provides more structural integrity for mounting the slat. All the seams in the can and cone are bevel prepped and welded on both sides to ensure 100% weld penetration. 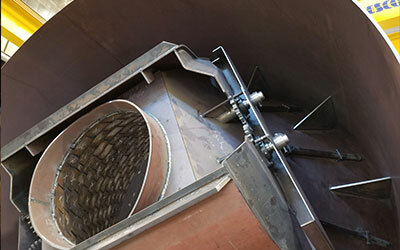 The bottom (2) sections of the silo are fabricated from 1/2″ steel which provides added strength and wear life. 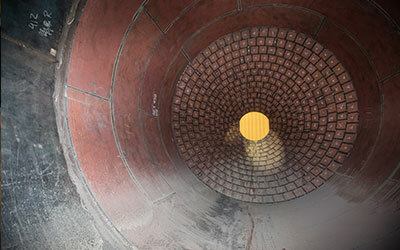 We line our cones with 3/8″ AR400 “Turtle-back” liners and the can is lined 8′ up the side with 1/4″ AR400. The cone is equipped with timed, clam-gates. 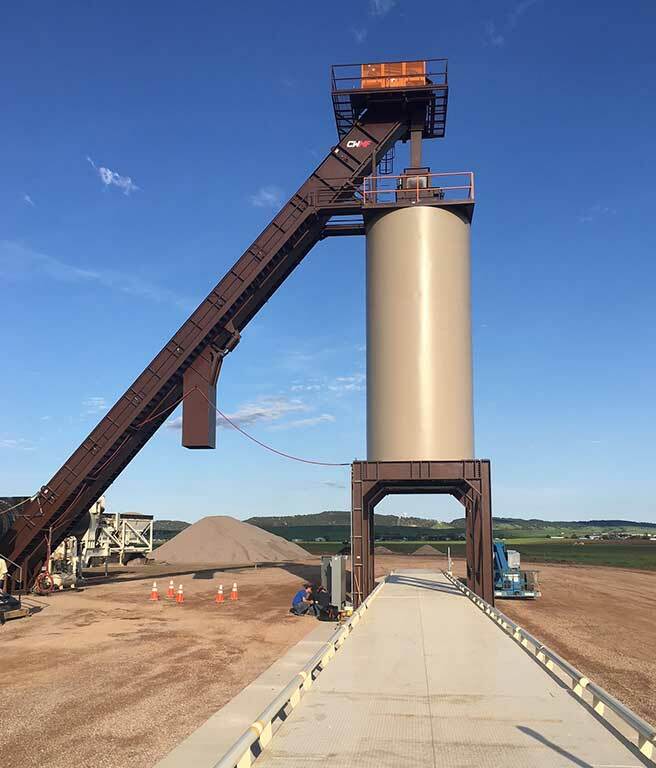 Our cone opening is 39″ in diameter allowing fast unloading. We also have insulated safety gates as a secondary safety measure. These gates are set up to activate if the air pressure drops below the set-point. Our patent-pending system allows you to service your gates without removing the batcher, which increases safety and decreases costly down time. 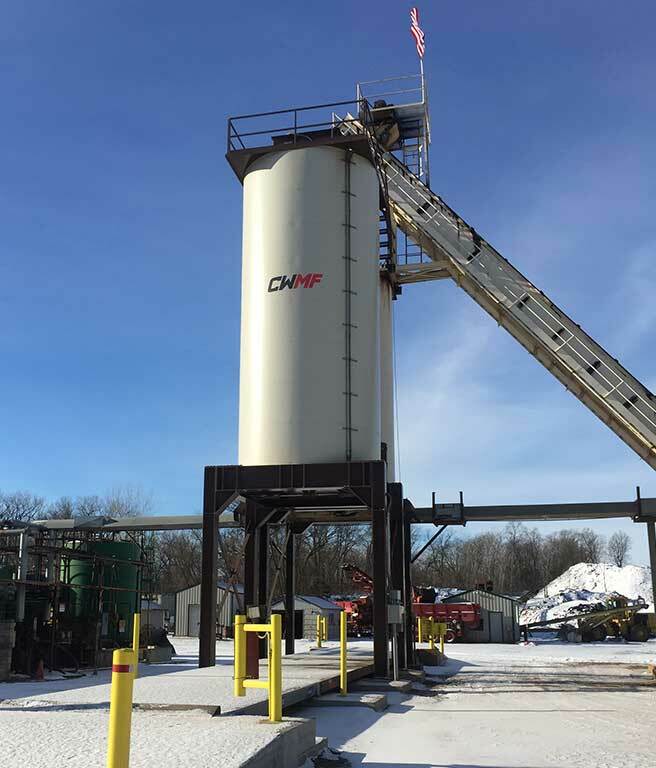 Our bolt-on batcher is standard at 4 tons with optional extensions for increased capacity and large access doors on two sides. All components are external and gates are removable for easy access and maintenance. 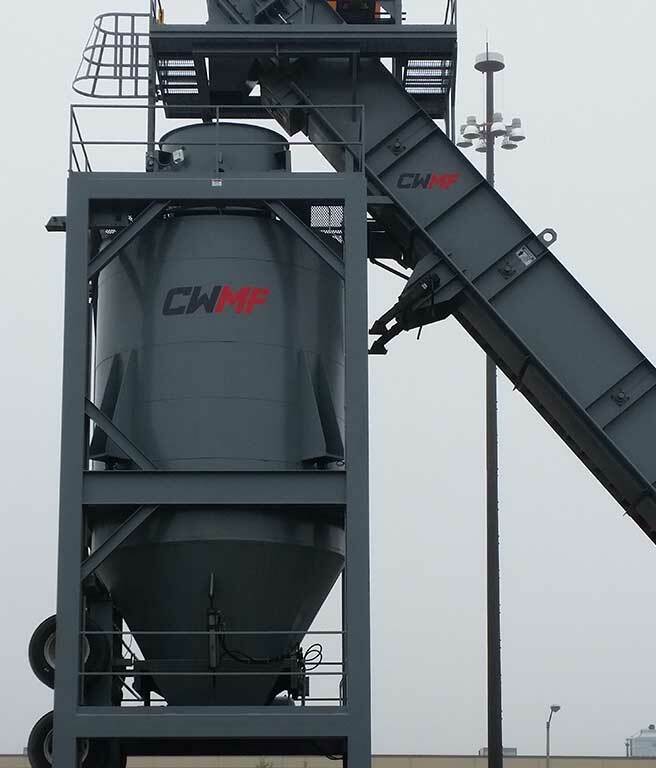 With a heavy-duty material splitter and outward opening gates, our batcher minimizes segregation and drops material to the center of the silo, preventing can/cone wear.